Time: 6:00 p.m., preceded by a reception at 5:30 p.m.
Gluck +, the innovative architectural firm founded by Peter Gluck, is known for its multi-faceted approach to creating award winning buildings. Responsive to a range and variety of factors – site, cost, time, construction, evolving client needs and attitudes among them – the firm is capable of dealing with a project from conception to completion. The process, known as Architect Led Design Build (ALDB), requires the architect’s assuming responsibility for all phases of a building’s construction as well as its design. One firm, wielding a hammer as well as a pencil, does it all. in architectural circles, the approach is frequently the exception rather than the rule. While a student at Yale, where he earned his bachelor’s and master’s degrees, Gluck encountered the design build culture that subsequently served as the inspiration for ALDB. Architectural luminary Louis Kahn who taught at Yale during the time Gluck was a student at the School, had an early and significant influence on his approach to architecture, his focus on the important link between design and construction. 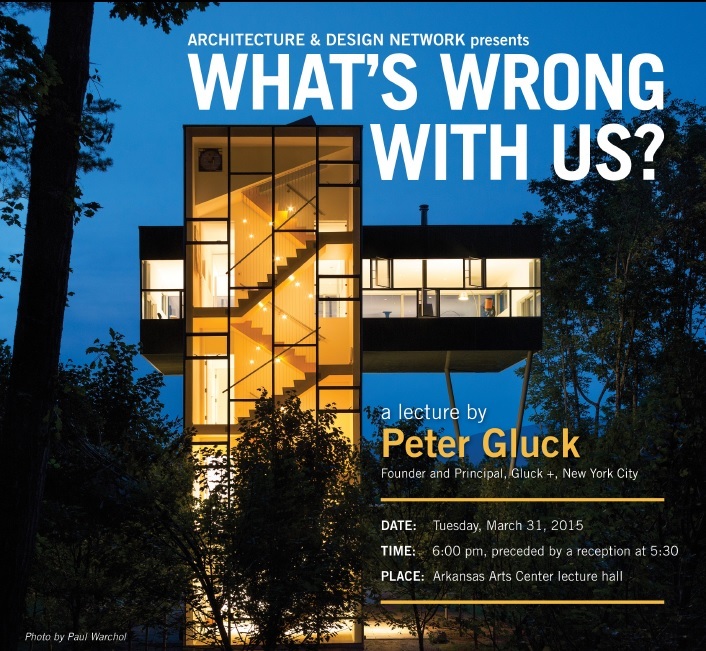 Gluck, known for his iconic tree topping Tower House, is also regarded for his work with moderate income urban housing. In one example, components were prefabricated in Pennsylvania and assembled on site in New York City. Gluck, who is widely published in architectural journals worldwide, has taught at the Columbia and Yale schools of architecture. Exhibitions of his award-winning work have been held in the United States and Japan. He has curated exhibits for the Museum of Modern Art. All Architecture and Design Network lectures are free and open to the public. For additional information contact ardenetwork@icloud.com. 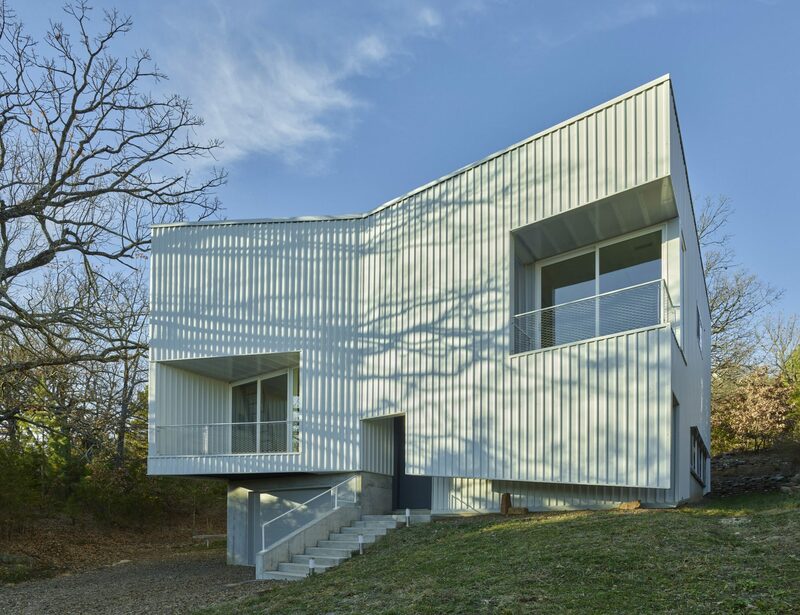 Supporters of ADN include the Central Section of the Arkansas Chapter of the American Institute of Architects, UA’s Fay Jones School of Architecture, the Arkansas Arts Center and friends in the community.